Industry Overview: An airbag is the most important safety devices for the occupants in an automobile. Various types of airbags in an automobile are driver airbag, passenger airbag, knee airbag and curtain airbag. The important characteristics for efficient functioning and full safety of an airbag are the high resistance to temperature variation, high durability (more than 15 years), good dimensional stability, high flexibility, good pressure resistance, low air permeability, high fireproof and low electrical conductivity. The major raw material in the manufacture of the airbag is the fabric which is obtained from chemical yarns such as polyamide or nylon yarns. The 6.6 polyamide is also known as nylon which possesses best frictional resistance compared with other fibres, has high resistance to the traction and has high waterproof characteristics in the standard atmosphere. The report titled “China Airbag Fabric Industry Situation and Prospects Research Report”, provides a comprehensive analysis of airbags, uses, various airbag fabrics, leading players, applications, specifications needed, advanced technology in airbags manufacturing, and future of airbags fabric market in China. The airbag fabric is tested with respect to the automotive standards specifications such as ASTM (American Society for Testing and Materials) and AKLV (procedures and requirements for air bag and inflator parts). Airbag fabrics undergo a series of laboratory tests such as breakage elongation, breakage and tear resistance, air permeability which prove fruitful for good performance. The manufacturing process of airbag fabric is relatively simple due to the modern equipments and involves technological process such as beaming, weaving and coating. Airbag is an indispensable product of the automobile industry and the passenger safety norms in an automobile require a rigorous approach in the airbag manufacturing. The airbag design and the choice of fabric require high quality control of technological processes to meet the automobile safety standards. China Airbag Fabric Industry: The expansion in Chinese automobile industry has led to a huge demand for domestic airbag fabric. China is introducing more and more laws and regulations about safety products which has directly led to the popularity of the automotive airbag. This trend has led to increase in the rate of installation of the airbags in all the automobiles and the demand for airbag fabric has gradually increased over the recent years. Leading Players in China Airbag Fabric Industry: The major airbag fabric producers in China are HMT (Xiamen) New Technical Materials Co., Ltd, Marui Weaving (Nantong) Co., Ltd., Jiangyin DUAL Automotive Textile Co., Ltd., Shanghai Porcher Industries, Ltd., Kolon (Nanjing) Special Textiles Co., Ltd., Toyobo Automotive Textiles (Changshu) Co., Ltd., and N.I. Teijin Airbag Fabric (Nantong) Co., Ltd. HMT (Xiamen) New Technical Materials Co., Ltd is the leading airbag fabric and airbag suppliers and manufactures in China. The major customers of this company are Yanfeng Key (Shanghai) Automotive Safety Systems Co., Ltd., Autoliv, GST Automotive Safety (Changshu) Co., Ltd., Jinzhou Jinheng Automotive Safety System Co., Ltd. and BYD Co Ltd.
Future of China Airbag Fabric Industry: Polyester yarn is expected to grow at a faster rate over the next few years due to its huge demand and reduced cost. It was observed that China is focussed on the technological developments in airbag fabrics. The fluctuating prices of nylon and Chinese government regulations may encourage the growth in airbags fabric market over the next few years. 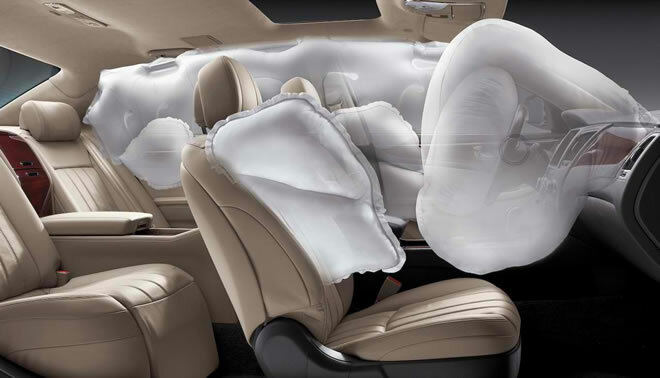 Advanced synthetic fibers, automobile safety norms, and collaboration of airbag makers with the Chinese automobile makers are the key factors that will drive the growth of the airbag fabric market in China.